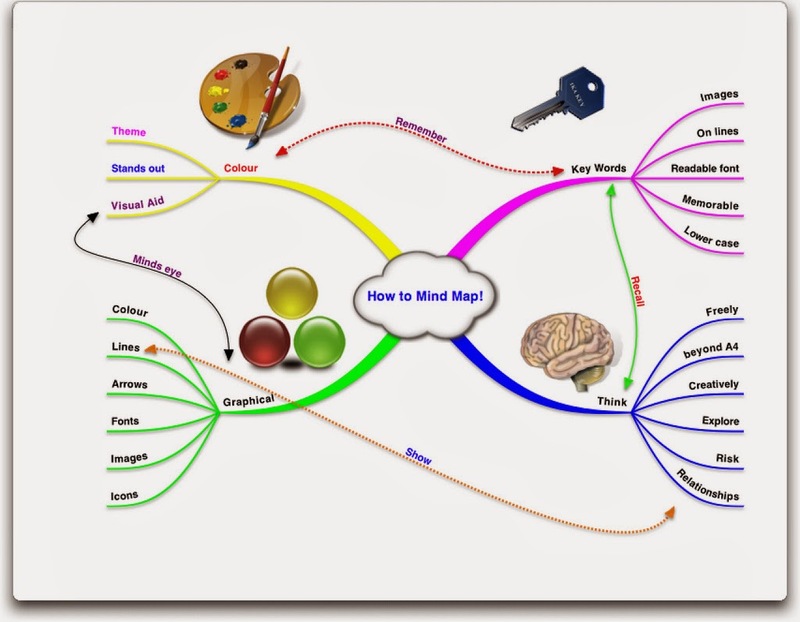 Mind mapping is quite popular but as a tool of creative thinking doesn't exist in Polish primary schools . For my students it a novelty so I spent a lot of time explaining why it is in use. As I ran this lesson is several age groups I tried different scenarios - sometimes the topic changed, sometimes I omitted a few parts of the lesson plan. I always started with asking my students how they prepare and plan their birthday parties. If they even make a list of tasks. Then I told them why a list is not a perfect tool - limited space, hierarchical order, linear way of expression, hard to remember, missing colours and other visuals. The collection of mind maps is vast. Some groups were asked to present their works to others, some discussed the outcome in their own groups. All the products are hanging in the classroom so that the rest of students might admire what we did in our classes. The profits of the lesson? Some of the students use mind mapping technique as a method of brainstorming and organising data for different topics and ideas. At the end of the presentation you can distribute a checklist to evaluate the project in a formative way. The homework - a list of vocabulary that is a result of the brainstorming. To be checked at the next lesson - a summative form ( a test).